Published July 2, 2015 at 1600 × 900 in Tanzania04. The delegation received an overview of the Harvard-Tanzania Collaboration at the offices of the Management and Development for Health and the Africa Academy of Public Health. Front row: Katie Vogelheim, Dr. Deborah Rose, Michael Walsh. 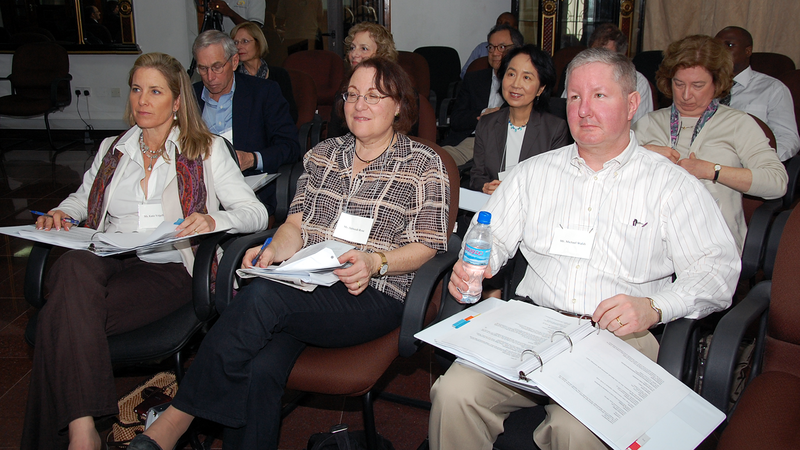 Second row: Howard Cox, Susan Butler Plum, Dr. Lilian Cheung, Nancy Lukitsh.